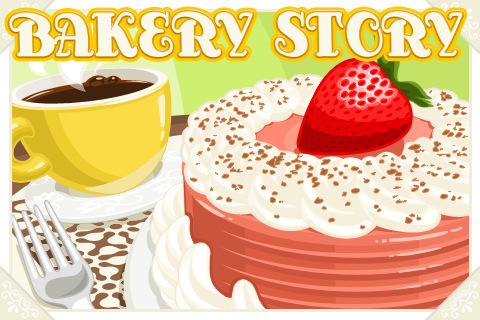 If you have just started playing bakery story then this is the guide for you, with tips and help for the game you can learn how to make the most amazing bakery! Make sure you think of a good name when you first start, otherwise it will cost you 10 gems to change it at a later date. You can create your name by going to main (at the bottom left) messages then profile and click change to change the name. You will need to create a storm8 ID to play this game, this is how you add neighbours who can send you items you request, tip you and gift you. You have to provide players with your ID to add you, there is no add me button and they can’t add you using your restaurant name! You can also connect to facebook to add your facebook friends! And if you play another teamlava game, for example, restaurant story you can use the same ID to make it easier! These are items that are hung on the wall of your bakery, they aren’t the most important thing to spend money on when you first start the game but as you increase the items will get better and more expensive. With every level increase in the game you get the chance to add more ovens to your bakery, with different recipes to create. It depends how long the item has been cooking, if it is an hour item and you have left it for 3 hours then it will be ruined and you will have to throw it away, you will lose the money it costs to make the recipe and will have to start again, but if an items cooking time is 5 hours and you leave it 9 hours it should be fine! But try not to leave it too much longer, it will be ruined after 10 hours. Expansions are how you increase the size of your bakery, you can buy them with coins or gems and you can find them in this tab or by clicking on the arrows on the floor outside your bakery. They increase dramatically in price each time so it can take a long time to get a massive place! Gems are what you use to buy premium items, you can get them from levelling up, making a recipe a certain number of times or you can buy them for real money. Both coins and gems can be purchased for real money, but if you play the game well it is possible to not spend a penny of real money on it! No problem 🙂 glad I could help! If my neighbors sent me items I needed for my oven as a gift before I bought my oven , will I be able to use the gift ? im trying to connect to my fb using my galaxy s3 but i dont see an option to do so.